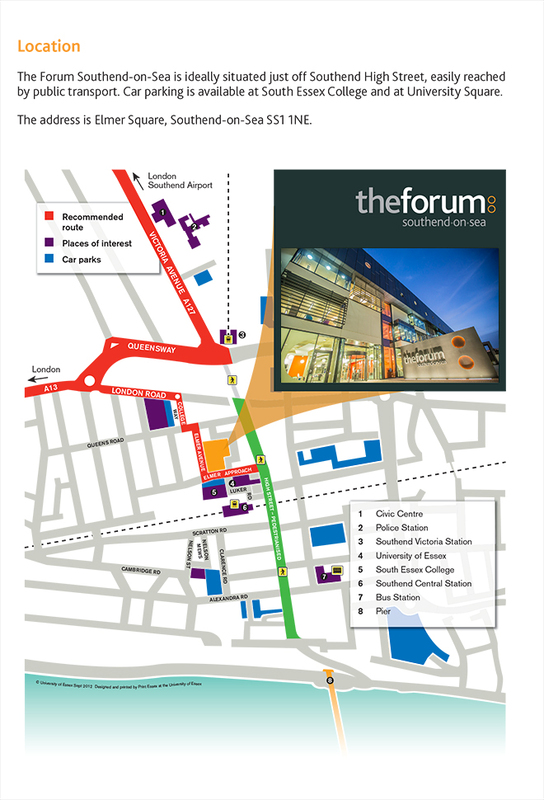 The Forum Southend-on-Sea is easily accessible for wheelchair users or those with specific access requirements. All areas are DDA compliant with wide entrances. Toilet blocks, lifts and other public areas are also designed for wheelchair use. The Lecture Theatre and teaching rooms are equipped with hearing loops. Manual wheelchairs are available for use within the building. If you have any particular access needs or require further details to plan your visit, please chat to The Forum Reception team who will be able to help. Alternatively, telephone us on 01702 534111 or e-mail the team using the address given in the Contact section of this website. If you require information in alternative formats, again please contact us for assistance.